CULTEMA is a project that analyses and classifies historical facilities and buildings in order to foster and upgrade cultural heritage resources. After inspecting and assessing the buildings in question, priority lists are compiled which flow into the development plans of our project partners in Southern and Eastern Europe, and pilot business models with local stakeholders and all other participant actors are initiated. The project’s main objective is to heighten the attractiveness of cultural goods, in the context of which cultural values are regarded as a regional growth factor and key resource for regional development. To that end, the project develops cultural marketing models and their steering mechanisms in order to attract investments, to establish the status of world cultural heritage in relation to sustainable regional development, to enhance communication and services for potential investors as well as to heighten administrative, technical and political competences. 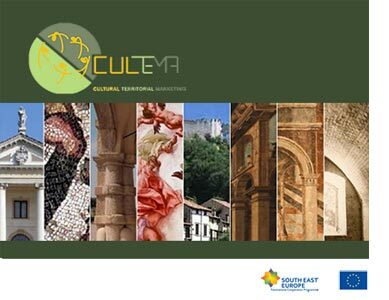 CULTEMA aims to develop a joint marketing strategy for investments in cultural heritage. As work package leader, the Institute of Urbanism at TU Graz coordinates data collection and training courses for the development of sustainable development concepts and feasibility studies, as well as to enhance competence in the effectiveness of cultural heritage preservation. The project organises and provides a web platform, the CULTEMA lab network, seminars, recommended actions, guidelines and trade fair participations on the subject of marketing cultural monuments. National Development Agency, VÁTI Nonprofit Kft.